Ask and ye shall receive: A journal has retracted a 2014 paper by Paolo Macchiarini, upon request from the Karolinska Institutet (KI). The latest news is only one step in a long-running saga about former star surgeon Macchiarini, who was dismissed from KI last year. To read more, check out our timeline. KI announced it was asking the journal to pull the paper late last year, after concluding that four authors — including Macchiarini — were guilty of scientific misconduct. The paper had already been flagged by the journal with an expression of concern, noting the data presented in the paper may not be “fully representative” of the experiments. Today, the journal issued a retraction notice, saying the authors wanted to retract the paper. All of the authors who could be reached have agreed to the retraction, including Macchiarini. This Article is retracted by the authors. 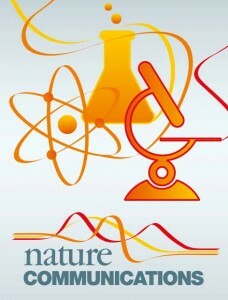 Nature Communications previously issued an Editorial Expression of Concern (http://www.nature.com/articles/ncomms13310) related to this Article, following the publication of a report commissioned by The Karolinska Institute and prepared by the Expert Group for Misconduct in Research at the Swedish Central Ethical Review Board. Owing to the technical issues raised by this investigation, we, the authors, are now retracting the Article. P.M., S.S., Y.G., S.B., M.A.B., C.D.G., A.S., K.K., H.K., P.D., A.B., R.H., D.R., C.I., B.J. and D.A.T. agree with this retraction. P.J., M.L.L., J.H., G.L., A.B.R., H.U. and Y.Z. could not be reached for comment. “Experimental orthotopic transplantation of a tissue-engineered oesophagus in rats” has been cited nine times, according to Clarivate Analytics’ Web of Science, formerly part of Thomson Reuters. This isn’t the first editorial notice issued for Macchiarini’s work — one of his seminal papers, a 2011 report in The Lancet describing the first case of a transplant using an artificial trachea seeded with stem cells, also bears an expression of concern, citing ongoing investigations. The journal has also issued multiple notices to remove four authors. When I am not dealing with the constant onslaught of accusations, I am indeed continuing with research. My team is currently working on understanding the signalling pathways involved when stem cells differentiate during regenerative processes, and continuing our vitro and in vivo work on repairing oesophageal defects. Given the pressure on you created by KI’s decision to cast us as guilty of scientific misconduct, I can see that retraction is possibly the only option available to you. I do stand by the findings of the manuscript, and in that respect I believe the [Committee on Publication Ethics] guidelines do not demand retraction from my point of view. However, the fact that Karolinska Institutet lost some of the animal house records when moving the facility, including some of the original data logs concerning this experiment, means that I cannot prove all the raw data beyond the doubt of those who mistrust and accuse us (I am, though, more than happy for anyone to inspect the logs that still exist, for 5 of the experimental and 2 control animals). It is this loss of hard copies of notebooks that means I see agreeing to retraction as the only honourable course of action for me. The accusations of scientific misconduct, however, complicate this scenario. The media coverage around my research now implies that I and my team have somehow been fabricating data and that nothing of what we publish is actually in accordance with reality. This is patently untrue, and it is not only for my own sake that it is important that this myth is not perpetrated – it is important for the entire field of tissue engineering (peers must be able to have faith in what is published in reputable journals such as Nature Communications), and also most especially for the students and early career researchers whose work this manuscript represents and whose lives and careers have been near destroyed by this whole affair. If accusations of scientific misconduct had not been made in the way they were, and the vast subsequent media pressure had not arisen, then I’m sure that both the Journal and the authors would have been satisfied with the outcome of an erratum. I would very much like to correct our phrasing regarding the weights and the statistical analysis and improve the methodological description of the CT scan. Ergo, the correct forms are “[…] from Karolinska Institutet” or “[…] from the Karolinska Institute”. Next Next post: An editor in chief was caught manipulating citations. Now he’s been asked to resign.